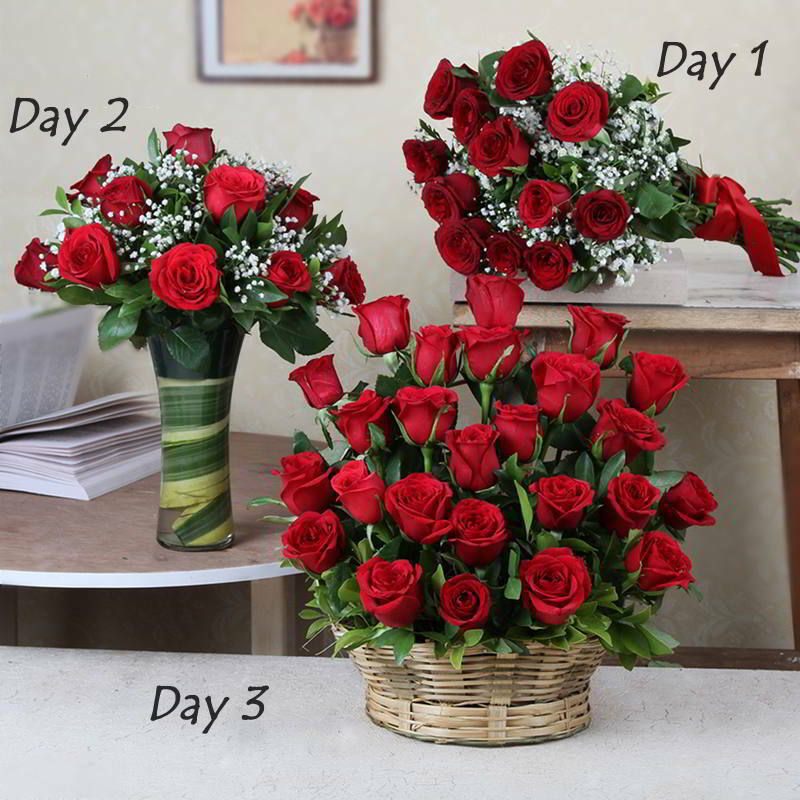 Product Consist: Day1: Bunch of 12 Red Roses :: Day2 Arrangement of 15 Red Roses in a Glass Vase :: Day3: Arrangement of 25 Red Roses in a Basket. 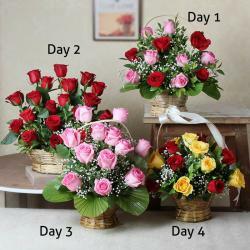 Surprise your loved ones with lovely Roses bouquet consecutively timing in a row. Roses for the longest time have enjoyed the honor of being the most popular flowers in India. The reason for popularity of the rose flower may be its wide variety in terms of color, size, fragrance and other attributes. The rose has been a symbol of love, beauty from way back in time. 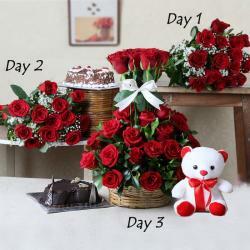 Roses have been the most popular choice of flowers for the purpose of gifting across the India. Give these serenades to your dear ones on special occasion such as Birthday, Anniversary, Good Luck Gifts, Gudi Padwa, Ugadi, and Valentines Day and bring a smile on their face. 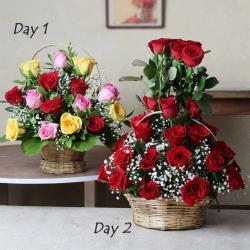 Product Includes: Day1: Bunch of 12 Red Roses :: Day2 Arrangement of 15 Red Roses in a Glass Vase :: Day3: Arrangement of 25 Red Roses in a Basket.